Renault is launching a new servicing offer that enables drivers and fleets to save money. 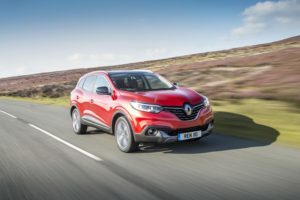 The EasyLife Pack is priced at £99 and offers up to three services, saving up to £560 compared to previous prices, Renault says. Drivers can also add extensions, covering a fourth-year Warranty & Roadside Assistance at £300, fourth-year Servicing & Warranty at £400 and fourth-year Servicing, Warranty and Roadside Assistance at £500. The offer is valid for Renault’s network programmes, covering businesses using its Fleet Rate+ (contract hire) terms, driving school terms or local quotation platform.